On a rainy and overcast December morning, community members, local and state officials alike gathered together on the side of a hill in East Boston. Through the clear-roofed tent you could fully take in your surroundings: the weathered brick buildings of the Orient Heights community, 331 units of state-funded public housing in dire need of maintenance and modernization terraced into the hillside. Looking around, it was clear that there was work to do, but warming up in that tent was a community ready to reshape their home on the hill with the groundbreaking of Orient Heights. 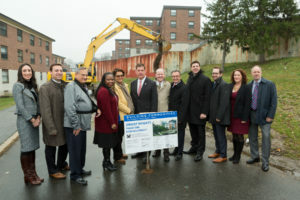 Phase One of the Orient Heights redevelopment will result in the demolition of four existing buildings containing 90 dwelling units and the central boiler plant, and the new construction of 120 affordable housing units in a series of clustered townhouses and a mid rise building along Waldemar Avenue. The reconstruction of these units will serve as a way to bring safe, improved housing to the current residents of Orient Heights. In the photo from left to right: Eva Erlich (Trinity Financial), Senator Joseph Boncore, Al Caldarelli (East Boston Community Development Corporation), Chrystal Kornegay (Department of Housing and Community Development), Carol Johnson (Orient Heights Local Tenant Organization), Mayor Martin J. Walsh, William McGonagle (Boston Housing Authority), Boston City Councilor Sal LaMattina, State Representative Adrian Madaro, Noel Henderson-James (Raymond James Tax Credit Funds, Inc.), Karen Kelleher (MassHousing), and Michael Koessel (Citi). Among the groundbreaking attendees were residents of the existing development and surrounding neighborhood, construction workers, elected officials and financing partners, joined together to celebrate the groundbreaking of Phase One of the redevelopment of Orient Heights, which for many symbolized the renewal of a great East Boston neighborhood. The event included a series of speakers, including remarks from Boston Mayor Marty Walsh on the importance of developing affordable units and revitalizing units for families who have lived there for decades. Carol Johnson, President of the Orient Heights Local Tenant Organization, spoke of the importance of the development, and explained just how much the project means for the community at large. Other speakers included Al Caldarelli of the East Boston Community Development Corporation, Chrystal Kornegay from the Department of Housing and Community Development, William McGonagle from the Boston Housing Authority, Noel Henderson-James from Raymond James Tax Credit Funds, Inc., Karen Kelleher from MassHousing, and Michael Koessel from Citi. Orient Heights is currently under construction and Phase One is expected to be completed in 2018. For more information, visit www.TrinityFinancial.com. For more updates from Trinity Financial, contact us via Twitter and LinkedIn. “Dorchester is the place to be,” said Mayor Martin J. Walsh as he stood in front of the crowd gathered in July across the street from a bustling construction site. Having lived in the Ashmont neighborhood of Dorchester for almost 15 years, I can assure you that wasn’t always the sentiment some residents and government officials felt about our area of the city. But lately, things are improving and changing, rapidly, in this Boston neighborhood. On July 11, Trinity Financial brought together government officials, community groups, and our neighbors to break ground, open the sales center, and unveil the name of our new building, Treadmark. 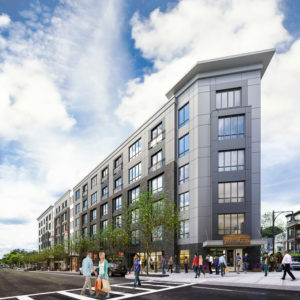 The newest mixed-income, mixed-use, and transit-oriented development in Dorchester’s Ashmont neighborhood, Treadmark is the second of Trinity’s transit-oriented development projects in the neighborhood following The Carruth, also located on Dorchester Avenue. 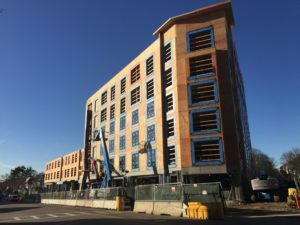 Aptly named with a nod to the site’s former use as the home of the Ashmont Tire company, Treadmark will comprise 51 affordable rental units and 32 ownership units. New Treadmark residents won’t be the only ones benefitting from the construction; Ashmont neighbors have some great food to look forward to, too! 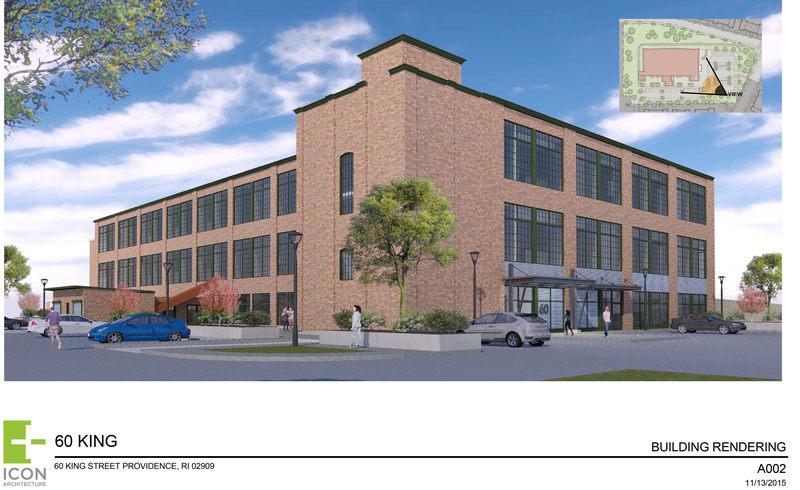 In addition to the new residential units, Treadmark will also include 5,000 square feet of ground-floor retail space, anchored by specialty food retailer, American Provisions. And in an effort to not only make housing affordable, but to also make it cool, all 83 units of Treadmark were beautifully designed by HGTV star and Boston-based interior designer Taniya Nayak of Taniya Nayak Design. Taniya herself offered tours of the model-unit which has been installed at the sales center across the street in the Carruth building. Taniya showed off the interior design, including the condo units’ customizable wallpaper and sliding barn doors. As Boston develops beyond its traditional urban center, revitalizing the heart and soul of Boston- its neighborhoods – is imperative. The ongoing revitalization effort of Ashmont and Peabody Square has been in the works since the late 1990’s, when Trinity, elected officials and neighbors envisioned and collaborated on what we wanted the neighborhood to look like. We imagined these types of restaurants and retailers would build the sense of community participation that led business and new residents to come here. Just ten years ago, Ashmont and Peabody Square were simply a sketchy and trash strewn pass-through to catch the T, and the vibrant diversity of the neighborhood, just beyond the T station, was often overlooked. From a development perspective, we have always sought to maintain that diversity in the square while also bringing in new opportunities for housing and retail tenants. By the time it is completed, Treadmark and its’ sister property, The Carruth, will have added 199 units of housing to the square. As a resident of Dorchester who is proud to raise my three children here, I am thrilled to have seen firsthand the transformation of this thriving community. Of late, I’ve enjoyed the knowing looks among my neighbors when social media announces their discovery of Dorchester. There are always more people and places to discover here. Treadmark is currently under construction and expected to open in Fall of 2017. For more information, visit www.livetreadmark.com . For more updates from Trinity Financial, contact us via Twitter and LinkedIn. We were thrilled to be included in Banker & Tradesman’s coverage of the recent groundbreaking and sales center opening of Treadmark, our newest mixed-income residential complex in Dorchester’s Ashmont neighborhood. Treadmark is comprised of 83 units designed by Boston-based interior designer and HGTV star Taniya Nayak, including 51 affordable rental units. Marking the next step in revitalizing the Ashmont neighborhood, Steve Adams reports, Treadmark is an example of how private developers can use state and local subsidies to accomplish great work. For the full story, please see Banker & Tradesman. As Boston’s economy and population have grown, so has the rate of construction and development. So what’s the issue? Trinity Financial’s managing director Kenan Bigby shares his thoughts concerning the lack of workforce housing for Boston’s middle class and why it’s so crucial that the city create more to sustain economic growth. To read the full story, please see Banker & Tradesman. In the thick of the Big Dig’s complications and delays, Bostonians nearly lost sight of what it was this massive urban facelift was gearing up to accomplish. But nine years after its completion, residents and visitors alike can be seen enjoying the Rose Kennedy Greenway in the summer and conveniently strolling and holiday shopping from the North End to Government Center in the winter. The Big Dig opened up the city to be connected in a vital way and also opened the door to the development of much needed housing in a centrally located and highly desirable part of the city. Enter One Canal. Nestled in the heart of the Bulfinch Triangle neighborhood, the new market rate, mixed-use building is now open, serving as a visual representation of the transformation of the area and significant investment into the neighborhood. One Canal, a joint venture between both Trinity Financial and Aimco, is downtown luxury at its finest. 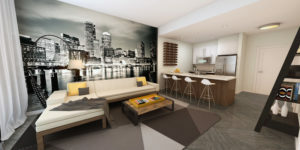 Consisting of 310 rental residential apartments, including 20 affordable units and 21,000 square feet of ground floor retail, One Canal stands within walking distance to live events at TD Garden, multiple MBTA lines, the action of Government Center, boating along the Boston Harbor, and cannolis in the North End. 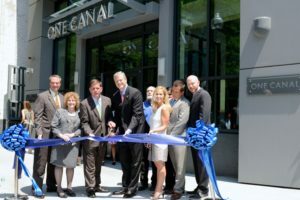 On July 13, local and state dignitaries, including Boston Mayor Marty Walsh and Massachusetts Governor Charlie Baker, joined Trinity Financial and Aimco for the official ribbon cutting at One Canal. It was a perfect day for One Canal to show off its expansive list of amenities and all that it has to offer. 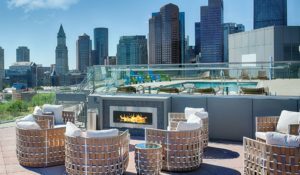 Above the 12 stories on the finished roof deck, attendees at the event took in the picturesque 360-degree view of the Boston skyline while checking out the heated pool, outdoor cinema and fire-pit. And the amenities don’t stop outside. Inside, residents can enjoy a 2,000-square-foot fitness center and the Canal Club resident lounge. If you’re worried about finding a spot in the densely populated West End for your car, with a 147-space resident garage, parking is no issue. Ground retail tenants will include Boston’s first City Winery, a specialty culinary destination set to open in 2017. For information on One Canal visit the website or follow on Twitter at @OneCanalApts. For more information visit Trinity Financial follow us on Twitter at @Trinity_RE. 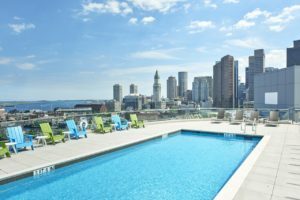 From Boston’s urban core to its outer neighborhoods, mixed use developments are helping to shape the future of the city. 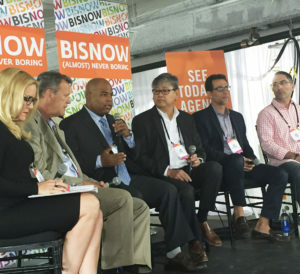 On August 11, I spoke on a panel for Bisnow’s Boston Major Projects event, joining Samuels & Associates’ Joel Sklar, AEW Capital Management’s Robert Plumb, Sam Park of Sam Park Companies, and HubSpot’s Ken Papa to discuss how the way people live, work and play is impacting mixed-use developments, as well as the nuances around financing mixed-use projects depending on their uses. A building’s mix of uses is fundamental to the success of a project. The process for programming a successful project in one of Boston’s outer neighborhoods can be very different from downtown and the suburbs, as we experienced with developing One Canal in Bulfinch Triangle versus developing Treadmark (Dorchester) and Boston East (East Boston). For instance, in developing Treadmark and Boston East, we needed to focus on providing neighborhood-centric retail in non-core locations, which can be a challenge. While the retail uses themselves may be similar to those in more traditional locations, locally-owned, smaller proprietors aren’t going to be as well capitalized, which requires a whole different process for underwriting and creative ways to make the deal feasible. Attracting the right retailers to our projects matters and we seek to bring in businesses that identify with each of our buildings’ unique identities. At Trinity, we take creating projects that reflect the neighborhoods they are in, and meeting the needs of those neighborhoods, seriously. I also had the opportunity to emphasize a few of Trinity’s projects that are transit-oriented, where we are creating vibrant, mixed-use projects outside of downtown. Two recent groundbreakings — Treadmark, in Dorchester’s Ashmont neighborhood, and Boston East — showcase the viability of mixed-use developments in the neighborhoods of Boston. Housing on public transportation is not a new phenomenon, but it can still be tricky to finance. Although these projects are often more complicated, we have a proven-track record of creative, private-public partnerships, and we believe tackling development that are harder to do, bring the greatest reward. As Boston looks to maintain its identity as the home of innovation – and a sought after destination for companies like GE – it also needs to remain affordable to the very people responsible for making Boston such a desirable destination. Earlier this year, the City of Boston released a report detailing how Boston should guide positive physical change over the next 15 years, which included middle-income workforce housing as a top priority. Of the 53,000 unit housing production goal delineated in the report, 20,000 are slotted to be middle-income workforce housing. To help those units come to fruition and promote economic growth and housing for the middle class, we need to be willing and able to create buildings that will help create a lasting legacy of a diverse, inclusive and sustainable Boston for years to come. Thanks again to Bisnow for hosting a great panel! Have you connected with Trinity on LinkedIn and Twitter yet? You can also learn more about our approach to development here. One of Olneyville’s historic mills is getting a major renovation! 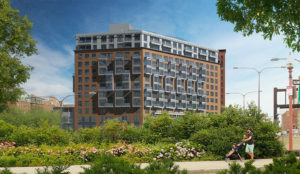 This May, Rhode Island Housing’s Board of Commissioners approved a preliminary financing package for Trinity Financial’s plans to redevelop the former mill into 60 apartments. Located at 60 King Street in Providence’s Olneyville neighborhood, the mill was built in 1923 and was originally the site of the Rochambeau Worsted Company. In the 1950s the mill was sold to the Imperial Knife Company, which operated in the building until at least 1988. After a series of multiple tenants occupied the building during the 1990s and early 2000s, it has remained vacant since 2007. What are the new plans for the old mill? Working with ONE Neighborhood Builders, a local community development corporation, Trinity is planning to rehabilitate and redevelop the site to include 54 affordable apartment units and 6 market-rate apartment units. Trinity’s proposal is part of an ongoing revitalization effort, the “Build Olneyville Plan,” which is focused on improving the Olneyville neighborhood and the nearby Manton Heights Public Housing development. 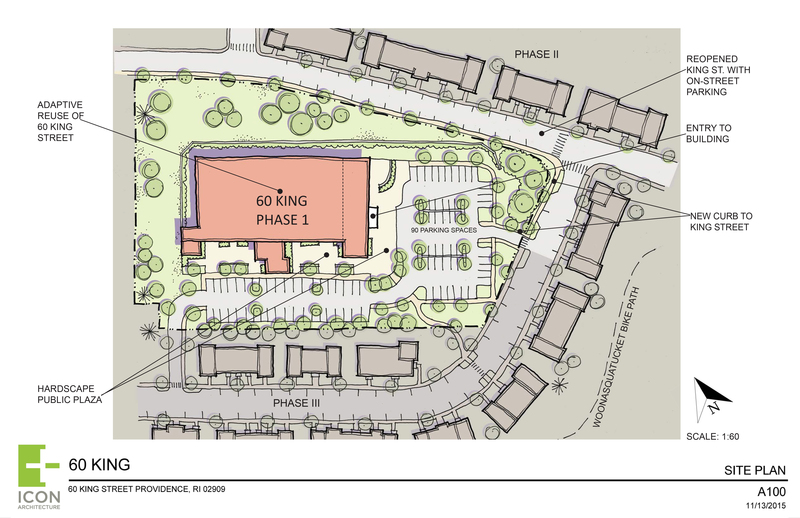 Like many of Trinity’s other projects, 60 King Street was designed to provide quality affordable housing while fortifying a neighborhood through thoughtful and impactful development. 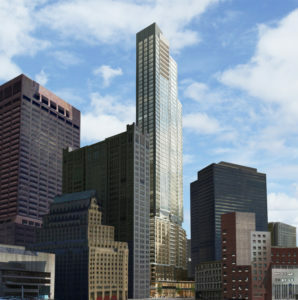 60 King is expected to be completed in the spring of 2018. For more updates from Trinity Financial, connect with us via Twitter and LinkedIn. 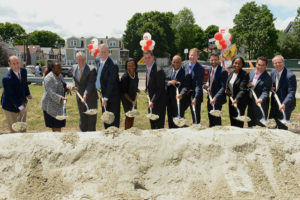 On Thursday, May 19, East Boston residents and government officials alike joined Trinity Financial to break ground at the new Boston East development on Border Street in East Boston. This was more than just a groundbreaking. 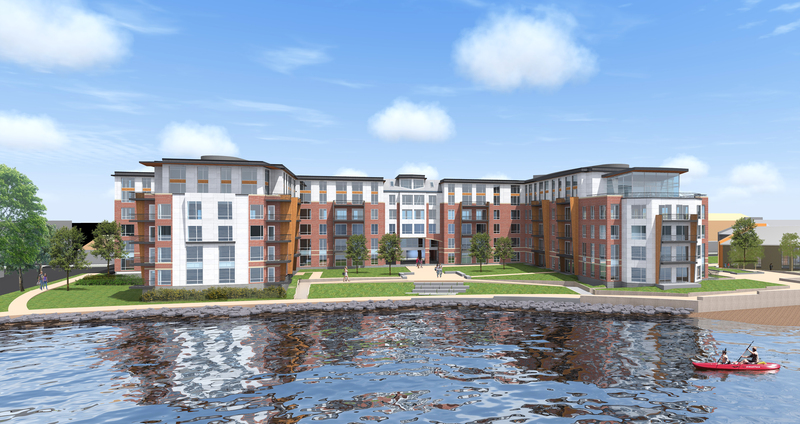 Boston East is representative of the development renaissance taking place in East Boston, bringing the waterfront to life in the neighborhood with a 400-foot public boardwalk that includes a kayak launch, a community art gallery, an acre of open space and beautiful views of the city. Mayor Walsh also spoke at the groundbreaking, highlighting more of the benefits Boston East will provide for the entire East Boston community through increased access to the Boston Harbor, expanded open space, and space to celebrate art and culture. Other speakers at the groundbreaking included State Representative Adrian Madaro, City Councillor Sal LaMattina, East Boston Community Development Corporation Executive Director Al Caldarelli, and Trinity’s own Vice President of Development, Abby Goldenfarb. As construction continues, we’re thrilled to witness the positive impact Boston East has on the neighborhood and on future development in the area. Boston East is expected to open in fall 2017. For more information about Boston East, visit www.BostonEast.com. For more updates from Trinity Financial, connect with us via Twitter and LinkedIn. Boston’s population and economy are growing, so it makes sense that construction in the Hub is booming as well. The only problem? Many, if not most, of the new towers and skyscrapers rising overnight are home to expensive condos and apartments, homes that the average Bostonian could never imagine being able to afford. As we celebrate Boston’s unparalleled success, we must also ask what kind of a city do we want to create? As Boston looks to maintain its identity as the home of innovation, a sought after destination for companies like GE, it also needs to remain affordable to the very people responsible for making Boston such a desirable destination. Earlier this year, as part of Imagine Boston 2030, Boston’s first citywide plan in over 50 years, the City of Boston released Guiding Growth: Towards an Inclusive City, which detailed how Boston should guide positive physical change over the next 15 years. 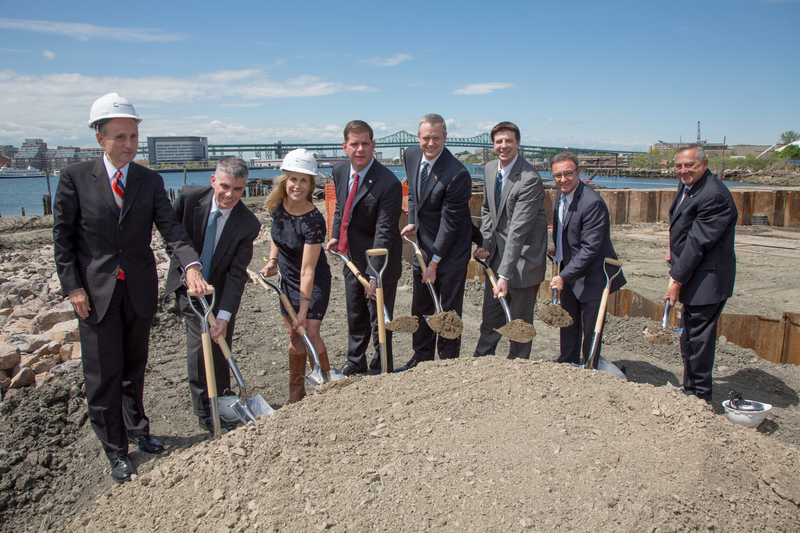 For Mayor Walsh, middle income workforce housing is a top priority. Of the 53,000 unit housing production goal delineated in the Guiding Growth report, 20,000 of those units are slotted to be middle-income workforce housing. 11,000 of these are to be “market-produced”, meaning relying on no direct city or state financial assistance. To help those units come to fruition, Boston needs developers willing and able to build iconic buildings that do more than reinforce the ‘luxury only zone’ that is taking shape downtown. Winthrop Square represents a unique opportunity to continue this vision. In the heart of downtown Boston, where history and legacy meet innovation and fresh ideas, Trinity Financial’s development team is proposing to develop a tower that will gracefully and elegantly integrate into the surrounding neighborhood and be a distinctive addition to the Boston skyline. Even more importantly, this site presents a tremendous opportunity to make a substantial addition to economic diversity in downtown Boston. 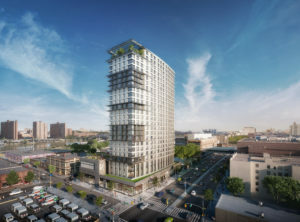 With 40 percent of the residential units affordable to middle-income households, Trinity’s proposal will create 258 units of housing affordable to households with incomes up to 120 percent of the area median income. This means housing created specifically for the middle income workforce (defined as households making between $55K and $130K annually) featured so prominently in the Mayor’s plan. This represents 32 percent of the Mayor’s goal of producing 800 unsubsidized middle-income workforce units per year and more than 3 times the amount required by the City’s Inclusionary Zoning Policy. Building Boston for sustained growth and success necessitates long-term planning. If we want to uphold Boston’s reputation as a diverse, inclusive and innovative city, we need to be ready to commit to creative solutions to get there. Promoting economic growth and housing for the middle class are values that we all share, and the Trinity Financial proposal for Winthrop Square will go a long way toward creating a lasting legacy of a more diverse, inclusive and sustainable Boston for years to come.